For weeks now Steve has been asking for an apple pie. I finally got my act together and made an apple tart when we were having friends in for dinner. It was one of the first really cool evenings so a dinner of a rich beef stew followed by an apple tart seemed to be the French-bistro thing to do. You can find the recipe for my pastry in a post on chicken pie (February 28, 2011) or you can use your own favorite pastry recipe or buy commercially-produced, refrigerated pastry circles to make the tart. One pastry circle should line a small tart pan. For the filling I used 5 crisp Granny Smith apples, peeled, cored, and sliced. I seasoned the apples with about ¼ cup of cinnamon sugar (I make my own and always have it on hand as I like nothing more than a piece of toasted homemade bread slathered in butter and sprinkle with cinnamon sugar as an afternoon tea treat) and ½ teaspoon grated fresh ginger. Then, I drizzled on about ¼ cup melted unsalted butter and gave a toss. Added about 3 tablespoons of Wondra flour and gave another toss. 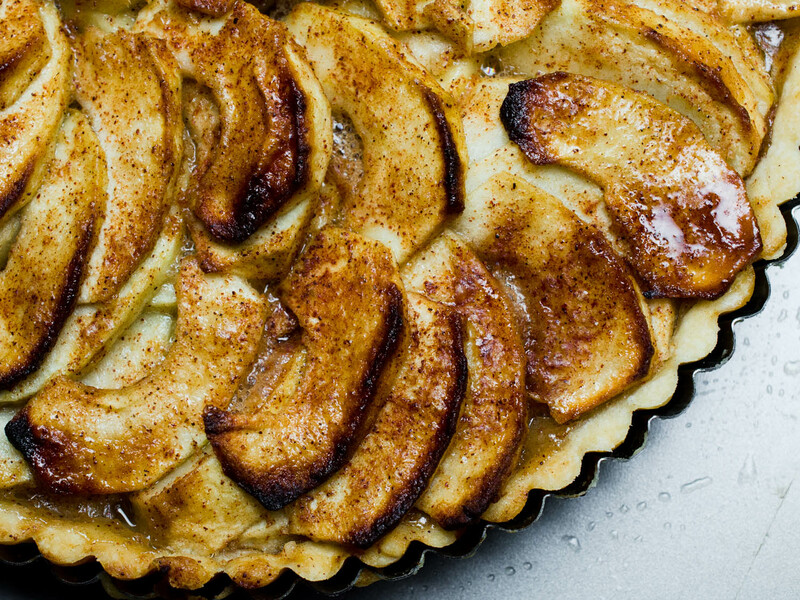 Arranged the apples into the pastry-lined tart pan and baked the tart at 375ºF for about 45 minutes. It was delicious!